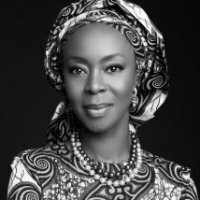 A lawyer and mother with a personal testimony on child mortality, Her Excellency Toyin Saraki is the Founder-President of Wellbeing for Women Africa and the Wellbeing Foundation Africa (WBFA), which, as a Global Partner to United Nations Secretary-General Ban Ki-Moon’s ‘Every Woman, Every Child’ initiative, advocates for maternal, newborn and child health (MNCH) in Africa. Through a multi-layered strategy of research, lobbying, policy development, educational program facilitation, advocacy, as well as the development and international circulation of personal health records, Wellbeing for Women Africa & WBFA are making tangible inroads towards the attainment of the UN Sustainable Development Goals Three, Five and Six. Toyin was born shortly after Nigeria’s independence, studied law at the University of London and was later called to the Nigerian Bar. Having built a successful career in the realms of law, banking and property development, coupled with her capacity as the First Lady of Kwara State, Nigeria, from 2003 until 2011, Toyin reoriented both her wealth and expertise towards the philanthropic realms of human rights, social welfare, education, arts and culture, citizenship, and democracy.